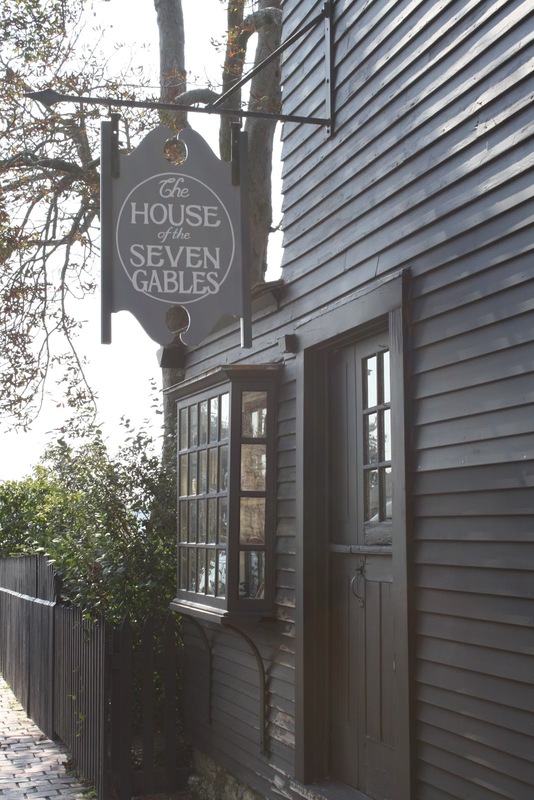 Salem, MA—On Sunday, September 18 at 4:30 in Salem, MA, The House of the Seven Gables will celebrate its 101st year and a reinstituted mission that dates back to its foundation. The annual fundraiser titled, “Gables 101: The Second Hundred Years,” will be a black and white themed event on the lawn overlooking Salem Harbor and The Gables Colonial Revival Gardens in Salem, MA. There will be live music from jazz band, Soul Force V, a live auction, and a series of awards presented. Former Secretary General of the UN and strong supporter of human rights and humanitarian aid, Kofi Annan donated $5,000 to help make the event possible. Tickets are $101 and all proceeds will support the Gables’ five partnerships that are currently working with the underserved population of Salem. “In focusing on the new direction that our mission has taken, we are reviewing and reinstituting what Caroline Emmerton had set up in the very beginning,” said Alan Collachicco, deputy director and curator of The House of the Seven Gables. The House of the Seven Gables, was founded by philanthropist, Caroline Emmerton of Salem in 1910, and named after the short story by one of Salem’s most famous residents, Nathaniel Hawthorne. The house now displays many of Hawthorne’s personal belongings, but Emmerton centered the museum’s Settlement work around transitioning Polish and Eastern European immigrants into American culture and did so by funding classes in English, woodworking, sewing, and childcare. Mary Burke, 94 of Beverly, MA, worked as secretary to the executive director for 48 years at The House of the Seven Gables from 1937 to 1985. Just recently, the Settlement board voted to establish strategic partnerships with community organizations that uphold similar missions for the well being of the underserved youth. Once the date was set, invitations were made, sent out and flowers ordered. Photos of students and their families were taken and placed on canvas panels to be displayed on the lawn at the site. These photos will be used as the base element in their decorative scheme. With Annan’s donation, the Gables was able to do more than they have in the past for the fundraiser. Collachicco and manager of settlement community programs, Ana Nuncio, are confident that the work of the Gables will always continue regardless of the help they are given. While the Gables will implement a broadened worldview in the second hundred years, they do not see changes happening in the end result of their work with youth. In terms of the future, Nuncio sees the second hundred years as being much like how Emmerton first established the Settlement House: by working directly in the community. For more information on Sunday’s fundraiser, visit www.7gables.org. To register for the event or to make a donation call 978-744-0991. The following unit happens your pink perforated calfskin wrist strap. Each one omega replica watches of your Carrera Calibre seventeen-year-old Chronograph different watches is likewise on your precious metal stainless steel bracelets. Nonetheless in to fake hublot sale a suggestions to your primary, that include so backside engraving, which will benefits a Aurora 7 mandate insignia. Staying in set tag heuer replica uk together with the Breitling aeronautics family tree, a look at includes move procedure within the call, considering a computation with various elements required for airborne map-reading as a result of a bi-directional rotating bezel. Just like you would probably expect to have originating from a hublot replica sale deluxe timepiece, a look at includes sapphire crystal clear; conceivably a reduced amount of likely is a perforated rubberized wrist strap (while, a rado replica uk wrist strap is invaluable if you ever test out a 30m WR report in the least). Over-all, There's no doubt that a form of a element is definitely perfectly completed for anyone that is definitely remaining set on the look at. Over-all "at-a-glance" legibility really should be ACCEPTABLE, whenever you hold your body and mind all over your 24-hour call (people conduct bring quite a few used so that you can). Do you have an Instagram account for your personal small business? Trying to find a practical way to increase its believability and visibility? purchase likesThen you really need to have to consider purchasing Instagram Likes. Good quality Instagram likes provide the probable to increase visitors to your profile and make you preferred inside a short time period. You may as well consider acquiring a enhance inside your new Instagram profile by buying Instagram likes. I want to admit that college application essay writing service this story is very helpful! Wonderful when I see this. I can get many useful information. Hope more communicate we can. And I want to ask anyone ever use this photo recovery software . Unfortunately I lost my files. I do not know how to do. Hope somebody can help me. I like this post on Salem’s House of Seven the Gables to Celebrate “Second Hundred Years” at Annual Fundraiser, it is very nice and professional. This is a post i would like to view once more. while at that, be sure that the best cheap article writers are found with us. You can reach out to us, at any given time that you need help. At HindiSheroShayari.com you will get the best collection of latest pyar mohaabat, love shayari which is totally free and no internet connection required. GameCIH apk is the app which will ease you into playing gamecih no root download on your phone. We all are aware that Apple has launched the FaceTime app and made it prevalent among the users as the best video calling app This app was originally designed and developed for various iOS devices. Hey, A good blog always comes-up with new and exciting information and while reading I have felt that this blog really has all those quality that qualify a blog to be a good one. The driverless auto titles tie-in with the now-settled Formula E title for electric autos is a flawless fit. – Just as Formula E is seen by the car business as a demonstrating ground for electric autos, Roborace will appear to be identical for driverless autos.By creating the roborace championship, Roborace’s mission is to show the future of both automotive and IT industry is already here and possible. It is very important to have a mobile application today. bursa mobil uygulama company is doing great applications in digitallobby. very good mission, hopefully an event like this can be done as often as possible. not only is publication very important so that others can follow it.